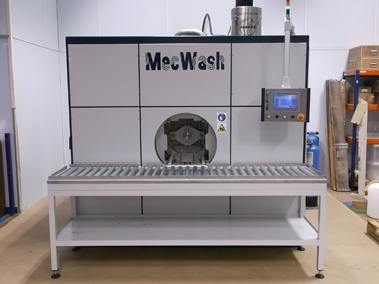 A need to radically improve the component cleaning capabilities at one of the UK’s leading precision engineering companies has resulted in significant savings, reduced production times and new orders, thanks to a new MecWash industrial parts washing system. Nottinghamshire-based Swiftool Precision Engineering Ltd is an award-winning sub-contract manufacturing business boasting a range of blue-chip customers in the aerospace, nuclear, marine and petrochemical sectors, among others. With demanding quality standards for its high integrity precision machined components, it found that an existing basic spray wash and small ultrasonic bench washing system was not as thorough as the exacting requirements needed to meet increasing demands from customers. “Quality is what Swiftool is all about. The existing washing system was just not cleaning well enough. We needed to surpass the standards that not only we expected, but that our clients demanded,” said Andy Carnell, Project Manager Manager at Swiftool. a solution. 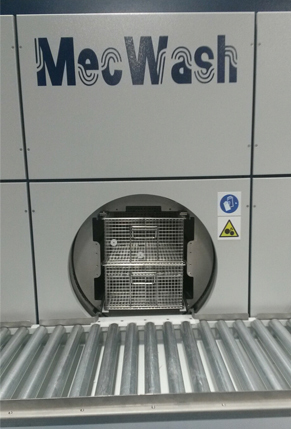 Working with the company, a MecWash MWX400 system was tested and configured, along with trials involving MecWash’s in-house laboratory and chemist to ensure the right wash chemicals were designed and matched, before the system was commissioned. The MecWash MWX400 system provides ultrasonic wash and rinse, flood wash and rinse, mist rinse, spray wash and rinse, hot air dry and vacuum dry. All providing exacting washing and cleaning results. The MWX400 system was commissioned into the manufacturing process and in addition to significantly enhanced levels in cleanliness, production was also increased as a direct result. “The MecWash system is far superior to what we had. It has saved so much time. It’s a lot quicker, more thorough and the results are so much better,” added Mr Carnell. Swiftool has one of the most safety critical environments, with verification of the absence of foreign debris and contaminated material being critical. It has its own clean room certified to Rolls Royce SABRe standard. Alan Atkinson of MecWash said: “Swiftool works with companies that have the highest level of cleanliness requirements. We are talking the size of particles having to be no larger than 5 microns. It’s vital there are no contaminants leaving the production process. “Our systems provide the levels of cleanliness for such exacting results. They are designed to clean at much higher speeds with the same results that mean production processes can also increase without compromise. This saves time and increases productivity for our clients.